The Vixen character will be a series regular in the second season of DC’s Legends of Tomorrow TV show on The CW. Megalyn Echikunwoke, who voices the character on The CW Seed animated Vixen TV series, and who guest starred in the Arrow season four episode, “Taken,” will not play Mari McCabe on Legends. Per TV Insider, Echikunwoke was not available. She is working on the sorority comedy film, Step Sisters, with Eden Sher and Matt McGorry and is looking for film projects. Echikunwoke also played Simone Baptiste on the Damien TV series, which was cancelled by A&E after one season. So instead of recasting the fan favorite, the show instead plans to introduce a new Vixen who will actually be an old Vixen. Yep, thanks to Rip Hunter’s affinity for time-travel, we’re going to meet an earlier version of the character who may or may not share some sort of historical tie to Miss McCabe. Even cooler, E.K. will continue to voice the role of Vixen in the CW Seed animated series of the same name and the door has been left open for her to guest star on any of the Arrowverse shows should her scheduling work out. What do you think? Who would you cast as Vixen in DC’s Legends of Tomorrow TV series? Let us know, below. More about: DC's Legends of Tomorrow, DC's Legends of Tomorrow: canceled or renewed?, Vixen, Vixen: canceled or renewed? 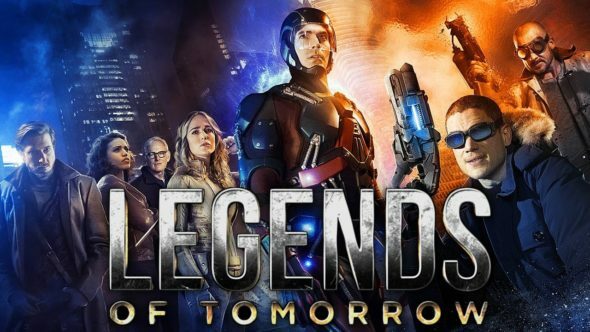 DC’s Legends of Tomorrow: Will Season Two Feature a New Cast? DC’s Legends of Tomorrow: Three Classic DC Heroes Coming? DC’s Legends of Tomorrow: Season Two Cancelled Already? DC’s Legends of Tomorrow: Constantine to Join Team in Season Two?